​Recall a time that you were out in nature. Perhaps walking along a wooded trail, or even enjoying an urban greenspace. You probably noticed the animals that inhabit that space; an American robin singing above in the tree canopy; squirrels gathering acorns for the not-so-long winter. Did you pay attention to the plants or were you largely unaware of their diversity? If you failed to notice the plants, you’re not alone; “plant blindness” is a real thing! Defined as the “inability to see or notice the plants in one’s own environment,” this condition leads to a lack of recognition regarding the importance of plants’ roles in our daily lives. Less funding towards plant conservation has been unfortunate consequence of plant blindness. Rare plants and endangered plant communities almost always receive less publicity, less protection, and lower levels of funding than do animals, although the threat to their survival is even greater. Extinction rates for plant species are seven times greater than for animals. However, it’s not all doom and gloom, as plant conservation programs are sprouting up! Nationwide, these organizations all share a similar goal: to protect native plants by ensuring that native plant populations and their communities are maintained, enhanced, and restored. Plant conservation programs typically engage a wide audience, from school age children, average citizens, and hobbyists to professional botanists and academics. What do these folks have in common? An appreciation of flora and a concern for the long-term health of our plant communities. PPCN members preparing to plant Goodyera tesselata grown from native seed at a state forest wild plant sanctuary. In response to the growing need for on-the-ground, active conservation efforts, the Department of Conservation and Natural Resources has established a statewide network for the conservation of native plants. The Pennsylvania Plant Conservation Network (PPCN) works collaboratively to promote and coordinate the conservation of native plant species and plant communities through education, outreach, and stewardship. The PPCN serves botanical professionals, as well as average citizens who have an interest in learning more about how they can positively impact their native plant communities. Worldwide, it is predicted that 28 percent of all plant species may become extinct by 2050. In Pennsylvania, climate change, habitat loss due to development, encroachment by invasive species, and selective browsing by animals such as white-tail deer are some of the many contributing elements threatening our state’s approximately 3,000 plant species. Roughly two-thirds of those species are considered native to the commonwealth. 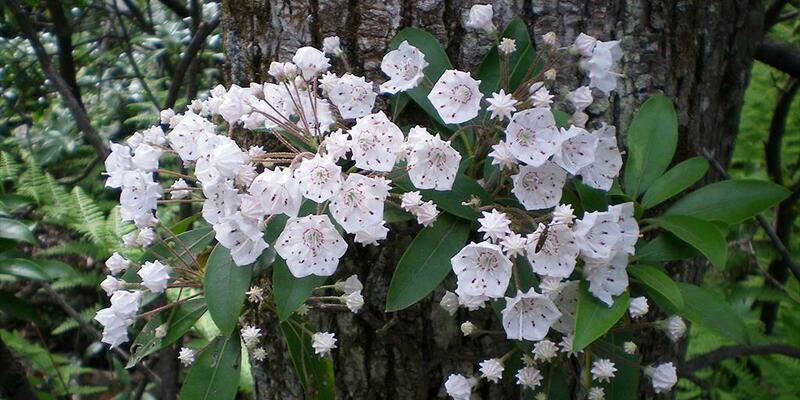 Of those native plants, 582 are classified by DCNR, with 349 considered rare, threatened, or endangered in Pennsylvania. The PPCN is just getting started, but hopes to identify rare plants in need of stewardship in your community! The Pennsylvania Plant Conservation Network will hold its first public meeting in conjunction with the 2019 Rare Plant Forum. Plant conservation stakeholders, concerned citizens, and other plant enthusiasts are encouraged to attend this free meeting for a collaborative discussion about the goals of the PPCN. If you would like to attend the PPCN meeting, please register online. If you’re interested in learning more about how you can get involved in plant conservation efforts in Pennsylvania, contact the PPCN program coordinator, Kristi Allen.